At last, the news we’ve all been waiting for. 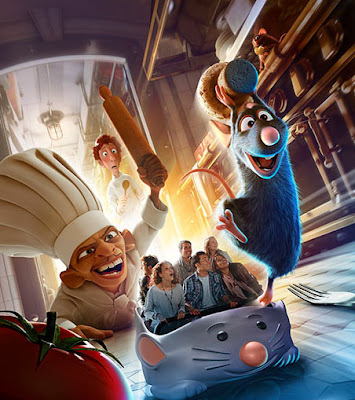 Ratatouille: L’Aventure Totalement Toquée de Rémy has been named, and the first artwork revealed. The long-awaited news came from Disneyland Paris’s official news twitter feed @Disney_ParisEN and @Disney_ParisFR. The artwork features an oversized Rémy, Skinner and Linguini and the kitchen that we will be discovering next year. The attraction vehicle has seemingly been confirmed as a rat car (as leaked documents revealed earlier in the year). The information given by the twitter feed was “This world-first attraction will shrink guests to the size of a small rat and plunge them into the heart of a particularly excited…”, well that’s where it has been left in the English tweet, however the French tweet details that we’re plunged into the world of a particularly animated kitchen. Personally, I think the name needs looking at, for starters ‘Toquée’ doesn’t really translate into English.A ‘Toqué’ is a Chefs hat, but can also mean ‘nutty, zany’. Such puns don’t translate in any language. A rough English translation would be ‘Ratatouille: Remy’s totally crazy adventure’. 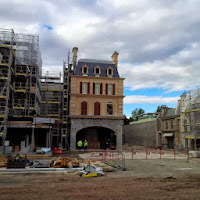 Secondly, it’s length is not marketable, or memorable, European guests tend to shorten ‘Cars: Quatre Roues Rallye’ to ‘Cars’, even Big Thunder Mountain becomes ‘Le train de la mine’. The lack of ability to translate the title has already been highlighted, using the example ‘Cars Quatre Roues Rallye’, anglophone guests can guess the meaning, this is likely to cause confusion. We can’t wait to see the sign on top of the attraction. 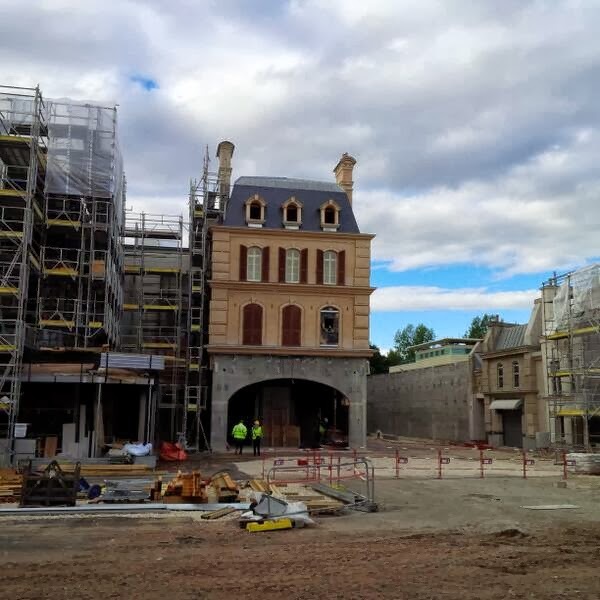 However, this attraction looks fantastic, the themeing continues to be unveiled day by day and looks authentically Parisian, we got our first look of props inside the attraction this week from Disney Magic Interactive which equally look fantastic. This attraction shows much promise, I look forward to tracing it even further in the future.